The UK is home to some of the world’s most romantic places perfect for last minute planners looking to get away for a weekend. From breathtaking rural escapes and secluded coastal retreats to city’s full of secret lanes and hidden gardens, there really is something for everyone. Edinburgh is a top destination for a romantic city break. 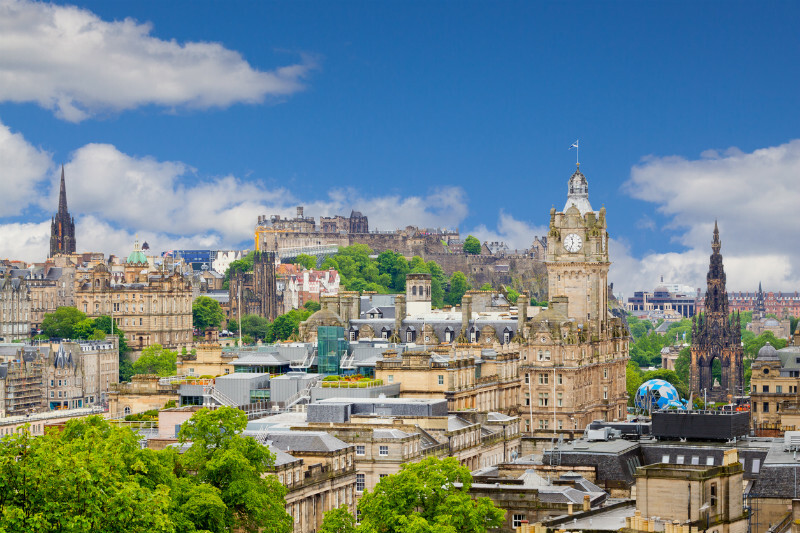 Home to top hotels and restaurants as well as endless historical venues and quirky cultural attractions, Scotland’s capital offers just about everything you’d want for a romantic weekend. While ambling the Royal Mile and exploring the city’s famous castle are well known must-dos, there’s a few hidden gems worthy of a visit. Scotland’s long dark nights in winter make it a great place for stargazing with the Royal Observatory Edinburgh being one of the best spots for a night under the stars. The weekly astronomy evenings, which run on Friday night are highly recommended. For some tranquillity, see if you can find the gorgeous 17th-century Dunbar’s Close Garden, one of the many hidden gardens that lie just off the Royal Mile. York is a great destination for lovers, the birthplace of W.H. Auden and home of the beautiful York Minster, the city echoes with the sound of church bells and sweet nothings. Legend has it that couples who kiss under the Minster’s Heart of Yorkshire Window will stay together forever. More adventurous types can walk The Snickelways, the many hidden passages throughout York which allow you to wind your way secretly through the city. Head to High Petergate and see if you can spot the famed Little Peculiar Lane, the shortest Snickelway, which offers brilliant views of the Minster. For a comfortable retreat, head to Gray’s Court. The 900-year old house (now a hotel) can be found just behind the Minster and serves coffee and traditional British cream teas, eaten on huge sofas and wingback chairs. Picture perfect villages and rolling countryside make the Cotswolds an idyllic destination for laid-back, romantic ambling. 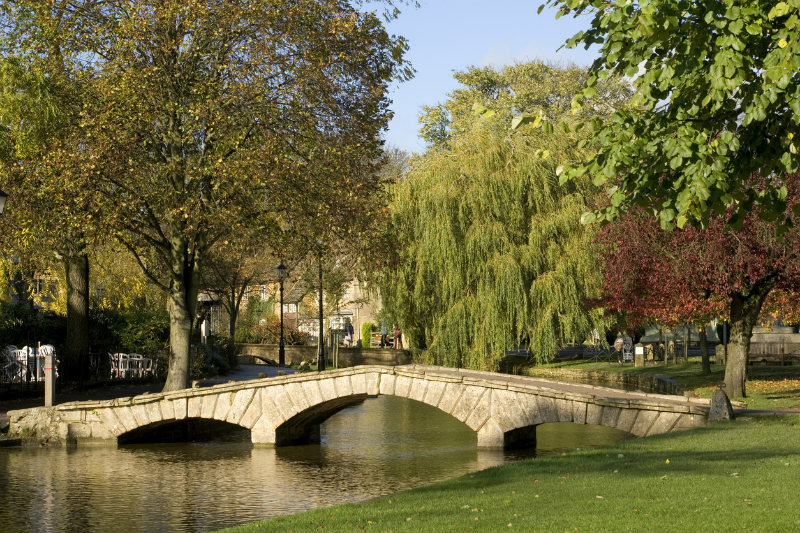 For many, Bourton-On-The-Water is the jewel in the Cotswold’s crown, known as the ‘Venice of the Cotswolds’ thanks to the many stone bridges which traverse the Windrush River as it runs through the town’s centre. The riverfront is the perfect place enjoy a picnic shaded by the trees. Medieval Lincoln’s old centre is dominated by its immense 12th century cathedral. The stunning gothic structure is surrounded by cobble-streets lined with Tudor houses, and gloriously old pubs – The Adam and Eve Tavern is reputably the oldest and dates back to the early 1700s. Romantics will want to sit nearby for evensong when the organ and choir can be heard resounding through the cathedral. For a more sedate escape, nearby Hartsholme Country Park is a brilliant refuge for nature lovers who want to stroll among Victorian landscaped gardens. Described by William Wordsworth as “the loveliest spot that man hath found”, the landscapes of the Lake District are intimately linked with Romantic poetry and some of England’s finest writers. Rowing boats on Windermere, cosy cottages and pubs with deep fireside sofas are the big draw for romantics but there’s a few spots worth heading out to. Rydal Mount, the family home of William Wordsworth and the gardens he beautifully landscaped as he wrote some his most notable works. The wonderful green spaces offer you a perfect place to relax and enjoy the historic gem. A simple walk from Ambleside takes you to the beautiful High Sweden Bridge, a 300-year-old packhorse bridge which is a picture perfect spot for a proposal or a few photos. Chester’s status as a top destination is cemented by Edgar House, a gorgeous Georgian mansion refurbished and transformed into a boutique hotel which is regularly voted as one of the most romantic in Europe. The House overlooks the River Dee, another big draw for couples looking for a leisurely diversion. 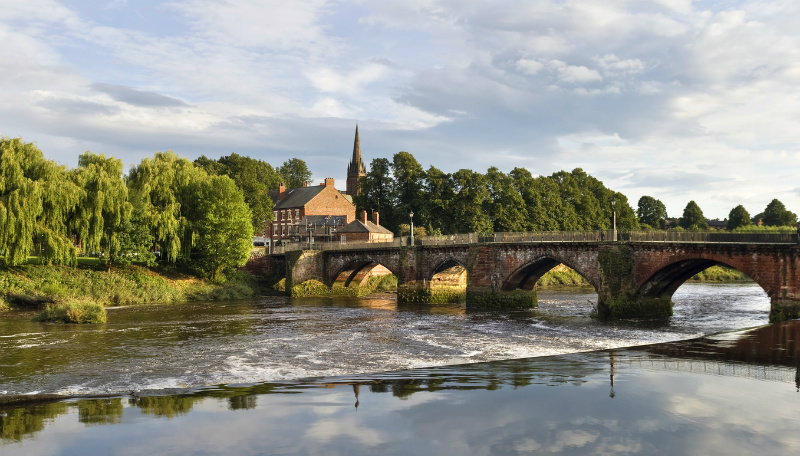 The Dee flows through the heart of the city and you can cross one of its many bridges and head into Handbridge where you’ll find the Meadows – ideal for romantic walks and picnics. The archipelago of tiny islands off the coast of Cornwall borderlines on the tropical, with beautiful isolated beaches and an incredibly charming feel, the Scilly Isles offer a uniquely romantic experience. The glorious Abbey Garden on the island of Tresco, widely regarded as one of the most magnificent gardens in the world, is a delight to amble around hand-in-hand. The Victorian garden is also home to the unique Valhalla Museum, which is home to a collection of figureheads, name boards and decorative ships’ carvings rescued from wrecked vessels around the Scillies. Home to some of the finest beaches in the UK, St Martin’s dramatic coastline is punctuated with rocky coves and cosy cottages. With little to do other than snorkelling or exploring the beautiful shoreline, it’s a blissful retreat. The picturesque tourist village of Portmeirion also boasts magnificent views over the lake and endless footpaths ideal for romantic strolls. The village’s centrepiece, Central Piazza, is packed with Italian Riviera inspired houses, an ornamental garden and architectural delights in every corner. The wild gardens of the Gwyllt are also a must, with arching trees covering fairytale woodland walkways and secluded lakes, the forest is a haven for peace. Bath is a renowned romantic city, thanks to beautiful Georgian architecture, lazy outdoor activities and one of the UK’s best spa experiences. 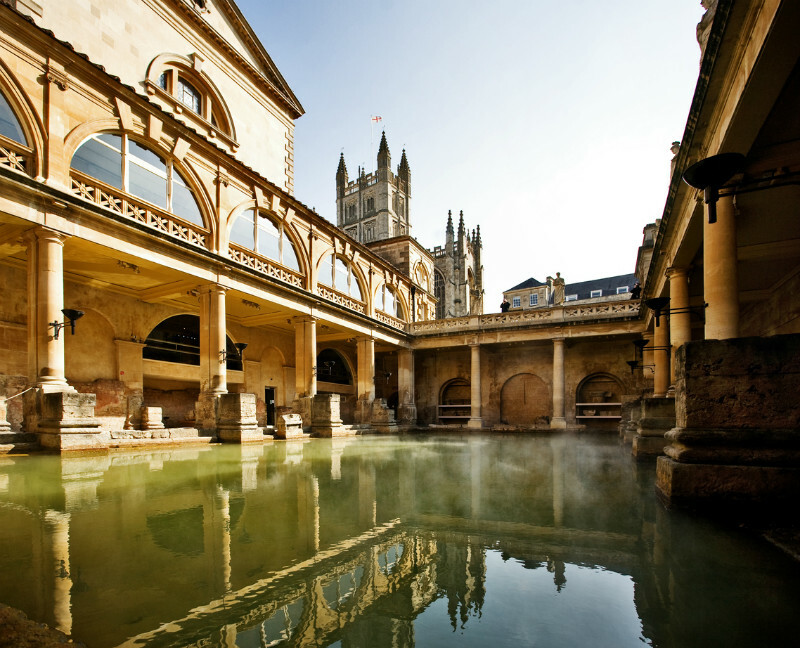 The Roman Baths are Britain’s only naturally warm, mineral-rich waters and have been enjoyed for thousands of years. You can relax in an open-air rooftop pool with spectacular views over the city, or stick to the naturally warmed Minerva Bath in a building voted by Britain’s architects as the most romantic in the country. For something a little more active, head to the outskirts of city and look for Prior Park. The beautiful 18th century landscape garden offers magnificent views, serene woodland walks and a great photo opportunity in the form of the famous Palladian Bridge, one of only four in the world. From the dramatic clifftop castle at Bamburgh to the lonely Sycamore Gap made famous by Kevin Costner’s ‘Robin Hood’, there’s plenty of romance in Northumberland. Miles of stunning isolated coastline makes for perfect walking. Perhaps the highlight is the seven mile stretch Druridge Bay where, if you time your visit right, the Northern Lights can be seen. For some fairytale magic, the spectacular Ducket Tower is perfect. The spellbinding lighthouse-like building has rooms on five floors connected by a spiral staircase and has views over the sea and local tidal island of Lindisfarne.